At Leightons, we believe in doing things better. That’s better care – for you and your family. From tiny eyes and ears, taking in the world around them; to teenage eyes and ears, developing through life’s rough and tumble. 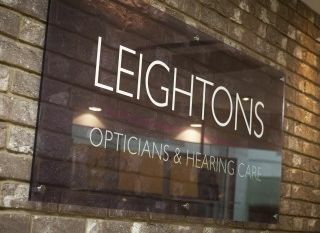 Helping you to protect your hearing and pick up the first signs of presbyopia in your 40s through to managing your eye and hearing health well into your older years. We’re with you for life – every step of the way. At Leightons, we don’t stop at standard. We invest in the most advanced ways of testing your eyes. That’s why we recommend an OCT scan as part of your regular eye test, in every store. These ultra-advanced methods of testing help us to detect issues like macular degeneration, diabetic retinopathy and may even highlight glaucoma up to five years earlier than traditional testing methods. And the sooner you detect them, the more you can protect. Find out what else makes our eye examination different. We also invest in people. More qualified staff means better a service for you. A Contact Lens Expert – who delivers the highest standards of clinical care and gives you access to the world’s most advanced lenses. 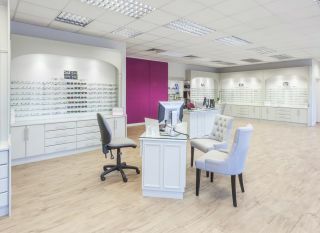 A professional Dispensing Optician – to give you a superior service once you get your prescription (no matter how complex it is) and make sure your lenses are fully tailored to your lifestyle. All of our stores have a fully trained Hearing Aid Audiologist, too. So you can take steps to look after your hearing and keep living life to the full. The best of the world’s eyecare and hearing care – brought to you. As a much-loved independent, we work hard to bring you the most advanced brands from the world’s most innovative eye and hearing companies. We stock head-turning eyewear from the biggest brands. Plus, the most beautiful hand-crafted boutique labels. So your glasses, and sunglasses, are every bit as unique as you. We’re proud to stock the most advanced hearing devices, too. Most of which can wirelessly connect to everything from your mobile phone to your TV to make your life easier, every day. More than anything, we believe in delivering heartfelt customer service. That means listening more carefully, empathising with your issues, passing on the wealth of our knowledge and delighting you with the best service possible. To see. To hear. To live life – to the full.